A few days ago, on April 10, in recognition of the anniversary of Joseph Pulitzer’s birthday, a small group gathered at Columbia University’s School of Journalism, in a room named after him, to announce the next group of writers who would continue Pulitzer’s legacy by adding his name to their list of accomplishments. Among several other prizes that were handed out, the award for fiction was lauded on Colson Whitehead for his novel, The Underground Railroad. Earlier this year, I read one of Whitehead’s collection of essays and was engrossed by his writing, the deftness with which he crafted a memory and shaped it with sentences. I had such high hopes for his novel. And then a few weeks ago, I read The Underground Railroad and had a very ambiguous reaction. There were flashes of recollection where I remembered how I had loved his writing just a few short months ago. But then there were moments where I despised the story and wondered how other people seemed to like it so. Why didn’t they see what I saw? And as it was my first time reading a novel before it received such a prestigious award, I am glad I read it before the prize announcement because now I know my reaction is truly my own, and not one that was influenced by my own lusting after the prize. You see, like most other writers, perhaps, I live for the day when I win the prize myself. But not yet. These things take time and I am nothing if not patient. But back to Whitehead’s day in the sun. 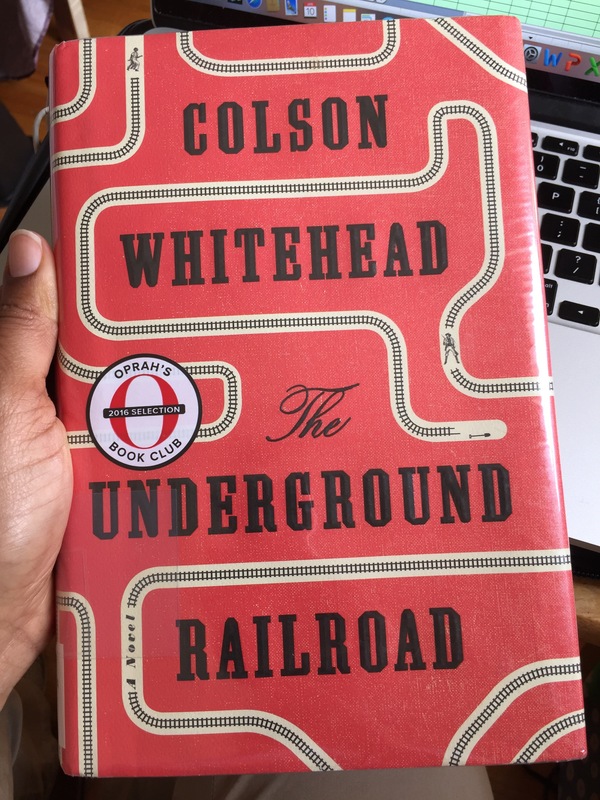 Now that I know The Underground Railroad has been so highly esteemed by Whitehead’s peers, I will reread it. I owe him that. The opportunity to wow me even if it’s a reaction that’s coerced. There have been times when I loved a book much better the second time around. Maybe this will be the case. There were definite problems that I had with the plot and the characterizations but overall, in the weeks since my reading, I have found myself thinking about the story and wishing I enjoyed it more than I did. Hopefully, now, I will. Taking away the mystique of wondering how the book ends, I will let Whitehead’s words transport me again to a time and place I’ve never wanted to visit, especially not more than once, and live Cora’s adventure alongside her. How does the announcement of a prize affect you? Does it make you like a book of movie or song more because it has won an award? I had a tough time reviewing this one. I think I was so horrified at some of the pictures he painted as well as a bit confused during some portions that I wasn’t sure how to conceptualize it. I do applaud his ability to create such a visceral reaction within me, however.